Buying a home that treats it own waste water is not unusual. Nearly one-third of all homeowners in the United States have septic tank to treat their waste water as they are not connected to a sanitary sewer system. Proper Septic Inspection Everett and maintenance are all that is needed for your septic system to give you years of trouble-free service. Maintenance suggested by most experts is comprised only of routine pumping of sludge from septic tank on a periodic basis. This is usually every two or three years but is dependent on how your family uses water, family size and Everett Septic Tank capacity. When buying a home, most buyers have a home inspection performed before closing. A separate inspection of the septic system should be done by an individual who is a certified Operations and Maintenance Provider (OM or OMP). They have more knowledge and experience than the inspectors who do inspections for pumping counties and will perform a very detailed inspection of the septic system of the property you are looking to buy. Washington state law is very strict about septic system inspections even when homes are not changing hands. In 2007 the law was amended and now requires that requires an inspection every three years of systems that are made up of a septic tank and a drain fied are required and for all other systems there must be an annual septic inspection. However, even if there has been a recent inspection, do not rely on it. 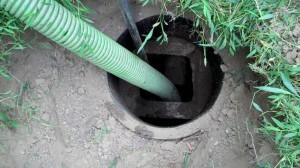 A failing septic system can cause many thousands of dollars to replace. A separate inspection by a OMP is well worth the piece of mind in knowing that your system is not in need of repair or replacement, is not leaking into ground water and not contaminating the aquifer. Many homeowners incorrectly believe that by adding additives to their septic systems will help them stretch the time between pumping. They are wrong! There is no scientific evidence to support this theory. In fact, research suggests that the use of additives may actually harm septic system. Thus, a system that had a recent inspection, and the owner began using additives, may not be in the same condition as when last inspected.